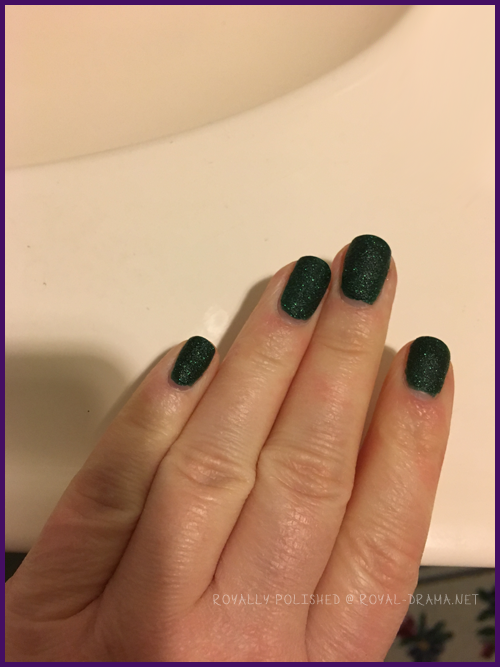 Note: I applied this polish on December 25th and took the photos on December 25th & December 26th. 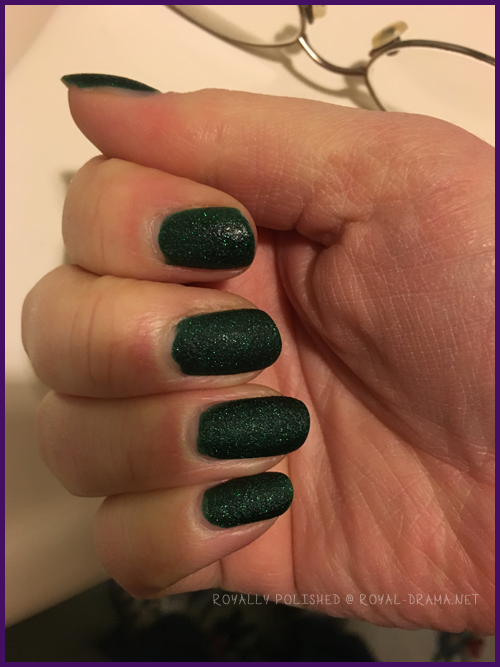 So this polish ended up being my Christmas mani. I had to work until Christmas Eve so I knew I couldn't do what I usually do. 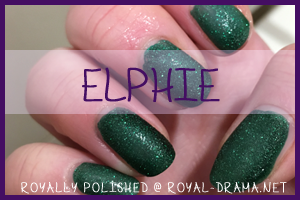 So I bought Elphie to use for a quick Christmas mani...because why use the other greens I have?. I did one coat of the polish though it probably could have used 2 for full coverage but the one coat looked fine with my sleep deprived eyes. It dried really quickly and I did no top coat. I really liked the muted glitter to it and the formula was pretty great as is the case with the Pixiedusts (y'all know how I stan for those!). The emerald green is a very pretty shade too! However, I ended up getting the weirdest rip on one of my nails (which of course I noticed after I left my house..d'oh!). I am not sure if it was lack of top coat or just my general clumsiness. 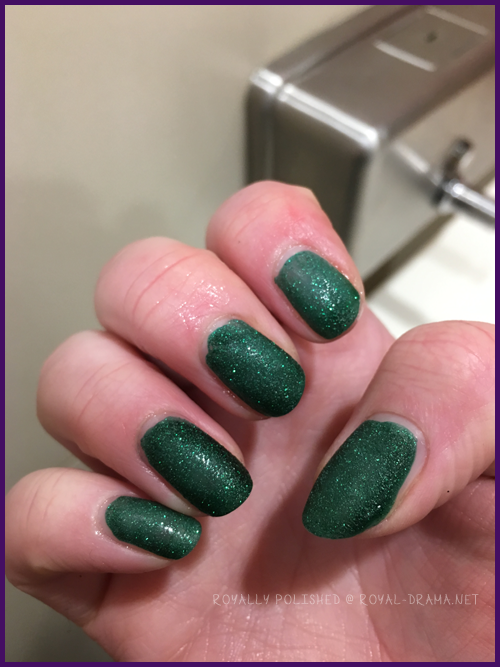 I have also had another issue with another green with Zoya so I am not sure if I am just getting bad luck or what. So on the 26th, I put another coat on and added a matte top coat. It look really muted with the matte top coat but still rather pretty! So the following photos are Elphie with the matte top coat. Overall I am giving this polish a 3 out of 6 stars. I had some problems with it but the formula is nice and it's Pixiedust so I automatically have love for it.